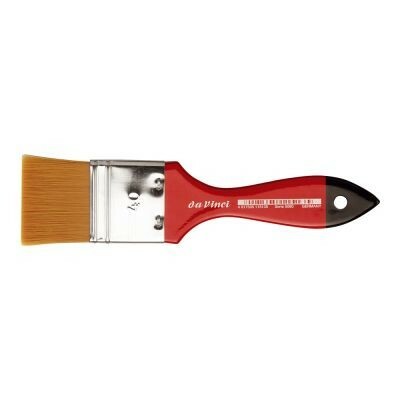 This unique daVinci brush is popular for its water-holding capacity and excellent value in large sizes. It is a blend of 5 different diameters of extra smooth synthetic hair. daVinci has built specialized machines that can sort synthetic hair in varying diameters. This sorted hair is then turned over to a master brushmaker who hand shapes the CosmoTop Spin.The thicker hair is placed on the outside and the thinner hair in the middle to ensure high color-absorption while maintaining a fine point, stable shape, and energetic spring. Ergonomic handles allow for maximum painting control and seamless, nickel-plated brass ferrules are rust-resistant. 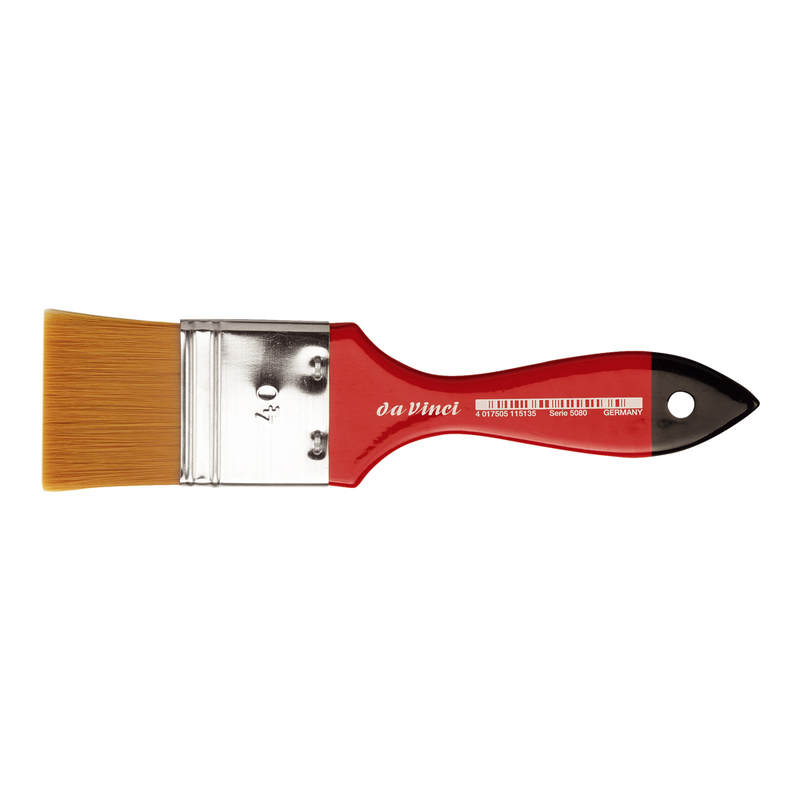 The result is a revolutionary, durable, synthetic brush for artists.